While we were in Italy I took hundreds of photos for drawing inspiration. One of the things that kept standing out to me were patterns in mosaics and floor tiles in the various churches and sites that we visited. I've made a start on some pattern illustrations inspired by some of the ones we saw on floors of the Basilica in St. Mark's Square. The sketchbook is from our day trip to Amalfi (which I'll talk about in a post tomorrow!) and is made of beautiful handmade paper with a pretty patterned cover. 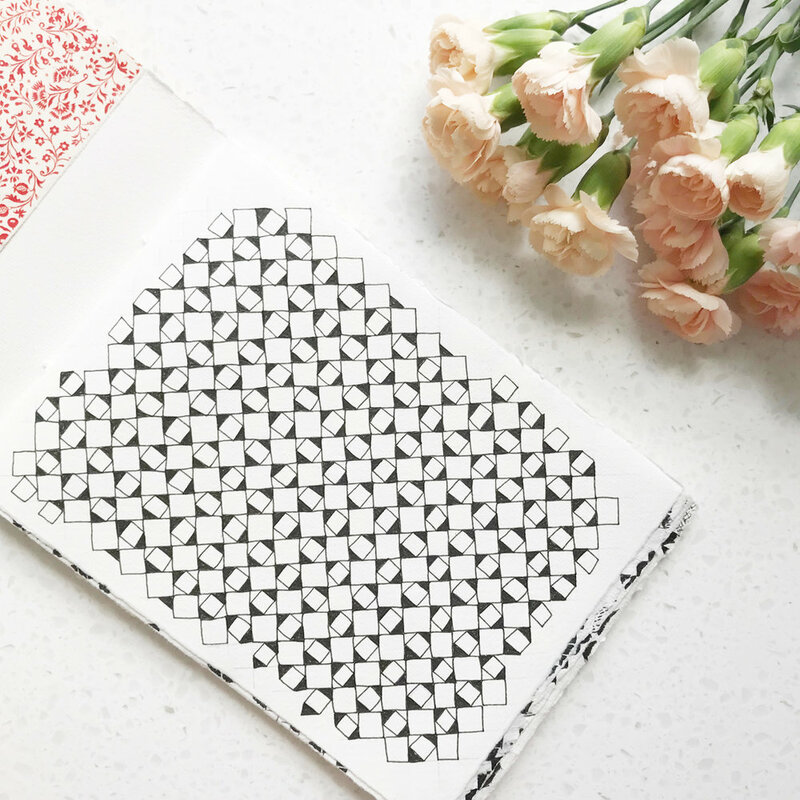 I've named this my pattern sketchbook and plan to fill it with designs inspired by our trip. 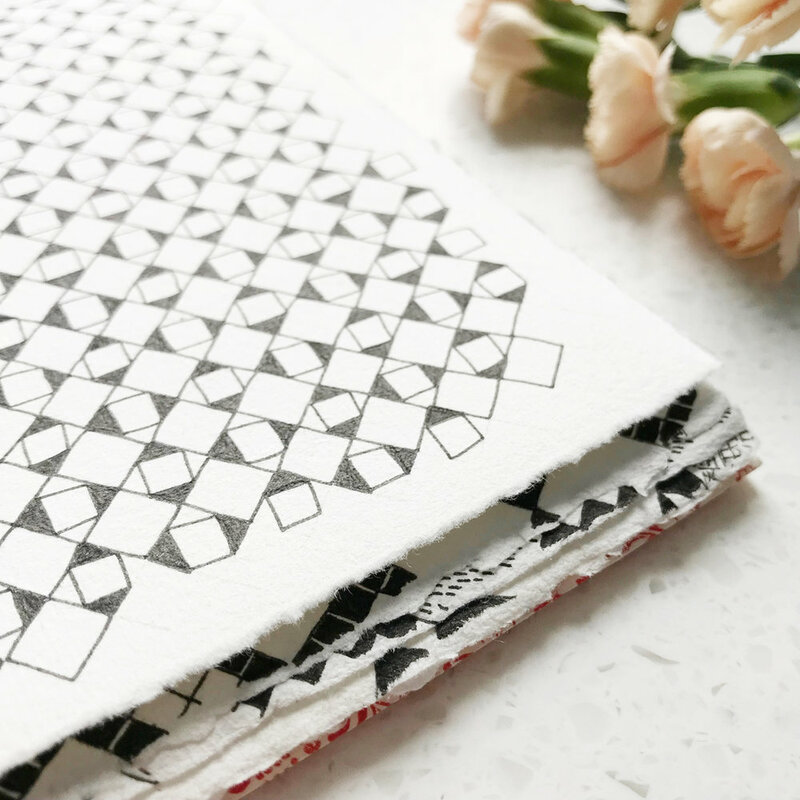 These are lovely to do whilst watching TV in the evenings, I love the repetitiveness of them and watching the pattern develop as I work on it. Although I am getting through a lot of pens in the process! I'll be back tomorrow with more tales of the honeymoon, and later in the week with some wedding photos!